Vaniya nagaram also known as ennai nagaram is probably a settlement of merchants who were involved in production and sales of oil. They were also known as sankarapadiyar. A good number of inscriptions throw light on this group of traders and their settlements. Oil merchants of both the banks of the river Kaveri (‘irandu karai nadu’) helped temples in their services through their munificent gifts such as oil press (chekku) which supplied necessary oil to light the lamps of the temple. They also provided man power to manage the presses. An inscription of Rajadhiraja II from Thiruppainnili discovered during the field study records the gift of an oil press along with eight persons as ‘kudi makkal’ by the oil merchants of both the banks of river Kaveri, to the goddess of the temple known as Aludainachchiyar as ‘sridhana’. It was stipulated that a certain specific measure of gingili oil made out by the kudi makkal measured by the standard measure aranya vitankan was to be provided to light the sandhi lamps at the temple. It is also agreed upon that the taxes such as kadamai and kudimai levied on the oil press would be paid by the nagarattar to the officers of the king (komurramar). It is interesting to note that the document was written under the orders of the vaniya nagarattar which is mentioned in the inscription by the phrase ‘irandu karai nattu ivvaniyarom panikka’. Another inscription of the same place recorded in the 8th regnal year of Rajaraja III throws light on vaniya nagarattar of the same group who lived in a mercantile village by name Pandiyanai Menkonda Cholapuram, calls themselves as nagarattar who grow as ‘Rajaraja peruniravi’. The record adds a new clause to an earlier agreement made by them with the temple authorities of Thiruppainnili regarding the utilization of oil from the two oil presses gifted by them on a previous occasion to light perpetual lamps in the temple. The new proposal stipulates that 4 nali of oil made out of the presses would be given towards lighting lamps at the temple. The record also mentions about certain vaniya kudi makkal who lived as hereditary slaves in the narppattennayira perunteru of the village to work at the oil presses. It was stipulated that apart from working at the oil presses, these kudi makkal were to serve at the temple also. The nagarattar assured through the new agreement that they would undertake the responsibility of paying the tax kadamai on the presses and also the other taxes such as tevai and kudimai to the government officers. Some of the signatories of this record called themselves as either vaniga chakravarti or vanigairayan. The agreement was written by Mandalaswami, a samayappaniyal of the nagarattar. An inscription dated in the 4th regnal year of Maravarman Kulasekara Pandya from Thirumanalmedu presents an interesting prasasti of vaniya nagarattar in the 18 districts (padinen-bhumiyil) on both the banks of the Kaveri. The prasasti lists Kikkinthai (Kishkindha) their mountain, Pampai their river, Garuda their flag, Saimukkiya their insignia, Jayavarman their elephant, Kalimarutam their horse, Kamala Kandikai their chariot and Tonrimalai their garland. It further claims that they gilded the temple of Kambar and gave Tirumakal in marriage to Marudar whose identity is not clear. This prasasti is missing in the other inscriptions of this group of merchant guild found elsewhere in the study area. The inscription records an annual levy of sixty panam by the vaniya nagarattar for the expenditure towards a festival in the month of Vaikasi for the presiding deity of the temple at Thirumanalmedu. On that occasion when the image was taken out in procession after tiruanantal (early morning service) with the removal of thiruk kappu nan, it was laid down that the deity be heralded as ‘danmadavalan tambiran vantan’ with the music of tiruchchinnam and the god was to be adorned with suitable garments and garlands of red lilies after application of sandal paste and provided offerings. It was also insisted that lamps were to be lighted on that occasion. 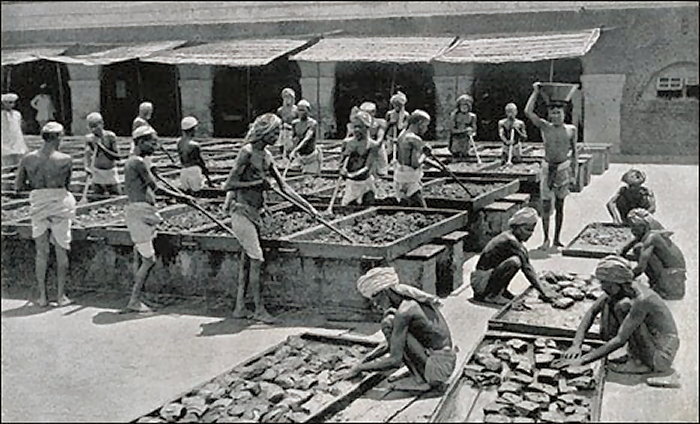 It is stated that the vaniya nagarattar appropriated to themselves the right of collecting this levy and also the right of breaking the mud-pots and seizing the brass vessel of the defaulters. The expression ‘danmadavalan’ reminds the 64 kadigai tavalam mentioned in an inscription of the tisai ayirattainurruvar from Piranmalai. It may be presumed that Tirumanalmedu was one of the 64 tavalam mentioned above. Danmadavalar appears to be the name of the merchant community who organized themselves as an associate body of the tisai ayirattainurruvar. It may be derived that the vaniya nagarattar of this inscription fall into the category of danmadavalar group by the usage of the word danmadavalan to the presiding deity. It is interesting to note that the vaniya nagarattar had the authority to impose levies and punish the defaulters. A record of Rajakesarivarman from Allur throws light on a combined gift of a fallow land made by the nagarattar of Viranarayanapuram and the urar of Allur to Avantiyakovap Pallavariyan alias Mayilaitindan of Pudukkudi who got this through a royal letter from the local feudatory Virachola Ilangovel alias Parantakan Kunjara Mallan. The land was made cultivable and endowed to the temple by him towards offerings during the mid-day service and to light two perpetual lamps. It is fascinating to note that the land of the sankarapadiyar, a group of nagarattar dealt in oil trade formed a boundary of the fallow land was encompassed by a compound wall. The same compound wall is mentioned in relation to another piece of land sold jointly by the nattar and the sabhas of Uraiyur kurram. It may be surmised from these two references that a settlement of vaniya naragattar was in existence at Allur during this period. Another settlement of vaniya nagaram mentioned as Nagaikku Mangudi alias Rajendracholapuram was in Vilattur nadu, a subdivision of Rajagambira valanadu. The village was also known as ennai (oil) nagaram and it had a temple of Pidari Iyyappolil Makali. Portions of land from this mercantile village, Isanamangalam alias Virudarajabhayangara chaturvedimangalam, Manarkudi and Masenaimangalam alias Chembiyan Valaikkurichchi were bought by Ayandampakkilan, who made a request to the king to annex them to form a new village in his name to support the brahmins settled by him at Srirangam. Kulottunga III obliged him with an order to form a new brahmadeya in the name of Ayandampakkilan. Three records of the study area register a mercantile village Kodandaramapuram which was also known as Vellur during the Chola reign. 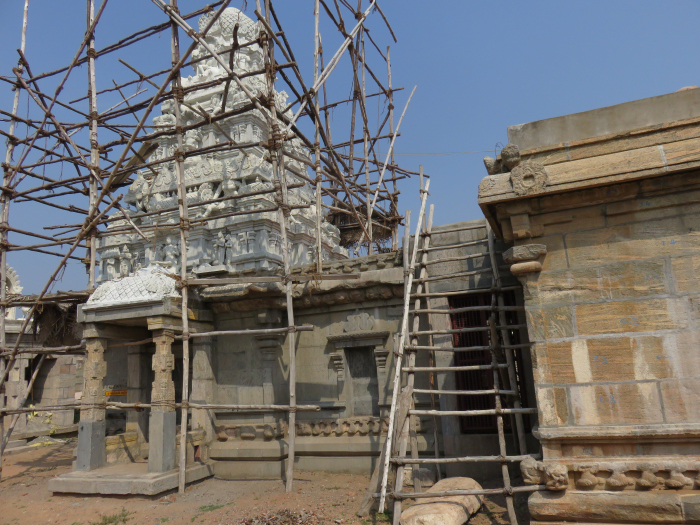 Umaiyalvan, a merchant from Vellur alias Kodandaramapuram built the stairs of the entrance to the temple of Thirukkamisvaramudaiya Nayanar during the reign of Kulottunga I. The record of Rajaraja III registers the grant of income from commission on merchandise excepting for salt which has been assigned to the deities Kodandarama Vinnagar Emperuman and Udaiyar Thirukkamisvaramudaiya Nayanar by the nagarattar of Kodandaramapuram. Record of Viraramanatha highlights the order (niyogam) of the nagarattar and komurravar of Kodandaramapuram fixing the levy of seven kasu per month per loom, 20 kasu per annum as viniyogam and one ulakku of oil per month per house for a lamp as kudaikkuli by the residents settled in the thirumadaivilagam of the temple. This record provides explicit evidence that any change in the tax structure was made by the local assembly in connivance with the royal representatives (komurravar). A newly discovered 2nd regnal year record of Sundara Pandya from the lintel of the mahamandapa registers the name of the builder of the snapna and nirutta mandapas of the temple by Panchanativanan Ekampan Rajanarayanan, a merchant from Singamangalam. It is understood from the available records that Kodandaramapuram alias Vellur which lies on the highway that leads to the western part of Tamilnadu existed as an important mercantile settlement for a long period. A new settlement was formed somewhere near Thirupparaithurai and Thiruchchendurai for the mercantile community by a certain Kulottungachola Vijayabalan of Perumpanrur by clubbing the purchased lands from several neighbouring villages in the name of Kongukonda Cholanallur during the reign of Kulottunga III. The king issued a royal order under the recommendation of Tondaiman, an atikari for the formation of the new village and restructuring the revenue collection of the same. Mummudicholapuram appears as a mercantile settlement in two Chola records copied from Thiruttesamalai. A group of six merchants residing at Vikramachola perunteru of Mummudicholapuram gifted six twilight lamps to the Thirutteyam Udaiyar temple. During the reign of Rajaraja III another merchant of the same place had gifted a lamp to the same temple. A record from Musiri identifies it as Mummudicholanpettai. The suffix pettai stands for a settlement of merchants with market place. The thirty second reganal year inscription of Kulottunga III from Srirangam when registers gift of land after purchase from the temple authorities by Olaimangalam Udaiyan Thiruvenkadudaiyan Sriyandan, a merchant of Kulottungachola Pattanam, a nagaram included under Cellur nadu in Rajaraja valanadu for offerings to god during the sandhi instituted in the temple in the name of the donor. This mercantile settlement is highlighted only through this charter and hence further details are not elicited. A newly copied inscription from Agnisvarar temple at Ettarai throws light on ‘Nilavaniyar’, probably a group of oil merchants residing in that place. They consecrated a new deity in the name of Sathyaviranayakar at the temple of Akilanayakadevar and a certain Mullikurumbur Udaiyan gifted a piece of land towards the maintenance of offerings and services to the deity. Though individual signatories are not represented in the early records of nagarattar, their appearance becomes frequent in the later records. The commonality is lost as in the case of other administrative bodies. The 24th regnal year inscription of Kulottunga I copied from Uyyakkondan Thirumalai during field study records remission of taxes made by Uraiyur nagarattar and the agreement mentioned in the inscription as iraikaval pramanam throws light on several members of Uraiyur nagaram as signatories. The 9th regnal year inscription of Rajaraja III from Thiruppainnili provides a list of nagarattar who were in the helm of affairs as signatories. Two more inscriptions of the same temple acknowledge the equal status enjoyed by nagaram with its counter parts brahmadeya and ur in deciding matters concerned with common interest. ‘Agara brahma desankalum nadu nagarankalum pidipadu kudutta parisavatu’ is the expression found in the tenth regnal year inscription of Sundara Pandya. Records sharing the administrative activities of the members of nagaram, though available in the nearby Nagaratarmalai of Pudukkottai district, are sparingly seen in the study area.